Personality is key for Australia’s future aged care workforce, according to a new report examining the characteristics of high performing personal carers in the sector. 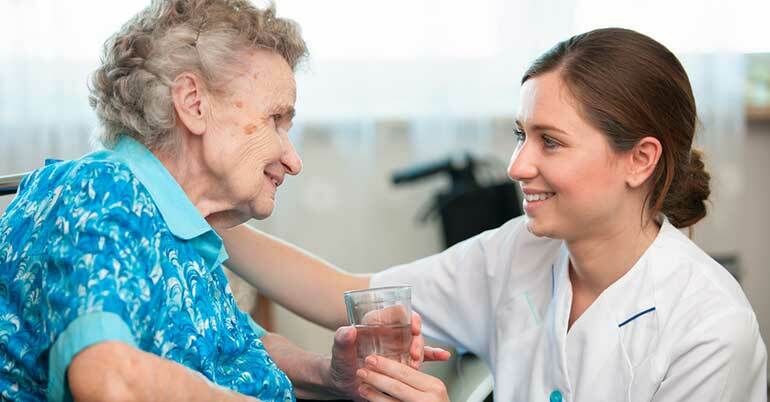 Personality is key for Australia’s future aged care workforce, according to a new report examining the characteristics of high-performing personal carers in the sector. Newly, Australia’s largest online marketplace for aged care and support professionals, conducted the study in conjunction with Pearson TalentLens, a global leader in Workplace Personality Inventory testing. The study found the introduction of consumer directed care (CDC) had increased the demands on carers and the competition for high-performing staff, and it was increasingly important for recruiters to look beyond an candidate’s resume. Newly managing director Helen Kemp told Pro Bono Australia News with more than 50,000 care jobs being created in the next decade alone, aged care was one of Australia’s largest employers. “Australia needs a lot of personal care workers, and quickly,” Kemp said. “Given the real risks for older people in care, providers need to be confident they are screening and employing people with the right attributes. The research considered the relationship between job performance ratings, industry skill sets and personality traits, with the goal of identifying the key characteristics of effective and successful aged care workers. Kemp said one of the interesting findings was that it is important to go beyond what a person can do and gain insight into what they are likely to do in work situations. “I think it has been really telling for us and I think it is also significantly proven that assessing people who are looking after vulnerable populations with multiple data points, not just the classic CV and do an interview is really important to ensure quality,” she said. Report author, US-based researcher Dr Keisha Phillips, said the person with the most knowledge for a given role was not always the best fit for the job. “Personality does matter,” Phillips said. Kemp said the introduction of consumer directed care (CDC) had increased the demands on carers and the competition for high-performing staff. “It is important we identify and understand the characteristics suited to the evolving requirements of a consumer-driven marketplace,” she said. A group of 20 HR directors from leading aged care providers held a panel discussion on Wednesday to discuss the implications of the analysis for recruitment and employee retention and engagement in the aged care sector. Kemp said the big takeaway in terms of recruitment was the need to look at multiple data points around assessment. “I think that is absolutely key,” she said. “I think that in terms of the workforce demand, in both of these sectors, the implication is going to be that we actually have to start looking at personal attributes around hiring rather than totally looking at skills base, because when we are looking at the demand for carers going forward over the next number of years, it increases significantly and unfortunately with government walking away from any workforce strategy that means the sector is going to have to resolve this,” she said. “And so when you are talking about a growth from 300,000 to 800,000 carers by 2050, that has really significant implications for the sector around how we are actually going to manage that and manage that demand and I think that that means you are not going to be able to hire necessarily, people with a lot of experience, therefore you are going to have to look to the aptitude and attitude base to make sure that you actually get an appropriate fit.